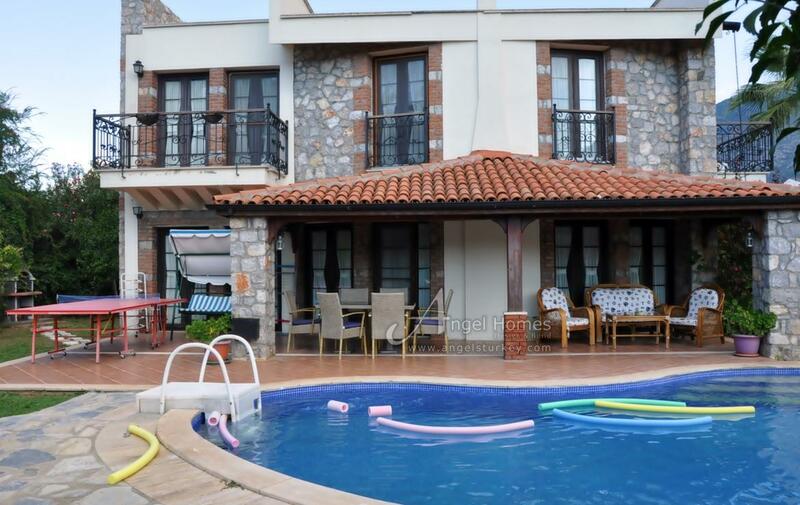 This 3 bedroom traditional stone built villa sits on an impressive 700m2 plot within 5 minutes of Hisaronu Centre, yet far enough away to enjoy the peace quiet and beauty of this village. 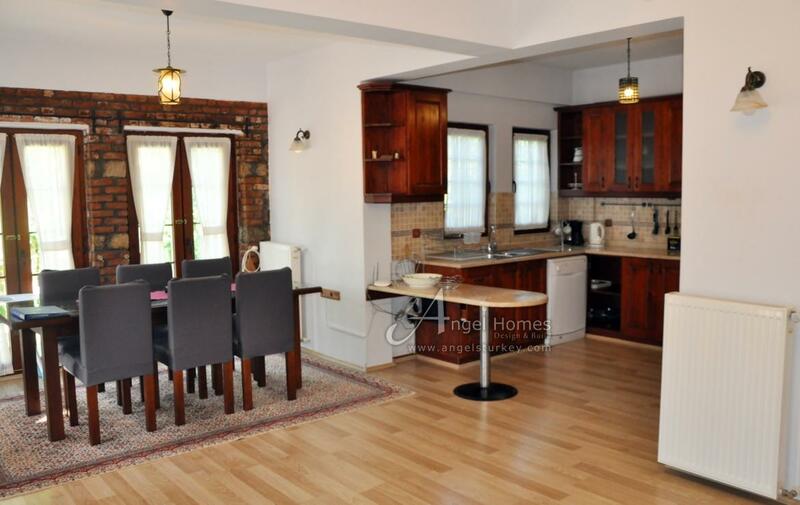 Shops, school, cafes and restaurants are within easy reach. Oludeniz is only 10 minutes away by road so if you fancy a change of scenery you can visit one of the most photographed beaches in Europe, the Blue Lagoon. Alternatively, you could sample the sport of Paragliding, known to be one of the best sites in the World for this sport. Also coming soon in 2019, you will be able to ride the state of the art cable car from Oludeniz to the top of Babadag. 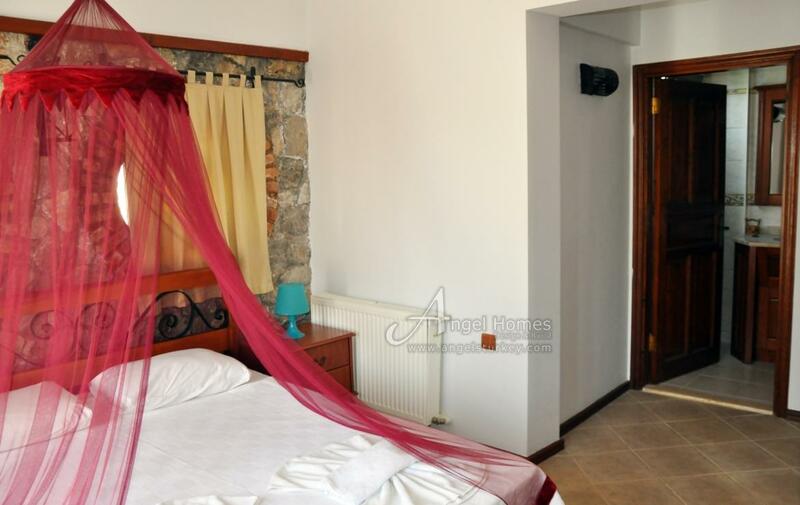 Fethiye, is only 15 minutes away by road, and is open 24/7 all year round. Here you will find larger shops, shopping mall, bowling, alley, cinema and anything else your heart and life desires. The main attraction in Fethiye is the Harbour. Here there are many cafes along the harbour side and you can sit and watch the world go by, or jump onto one of the many boat trips that leave daily in the Summer months. 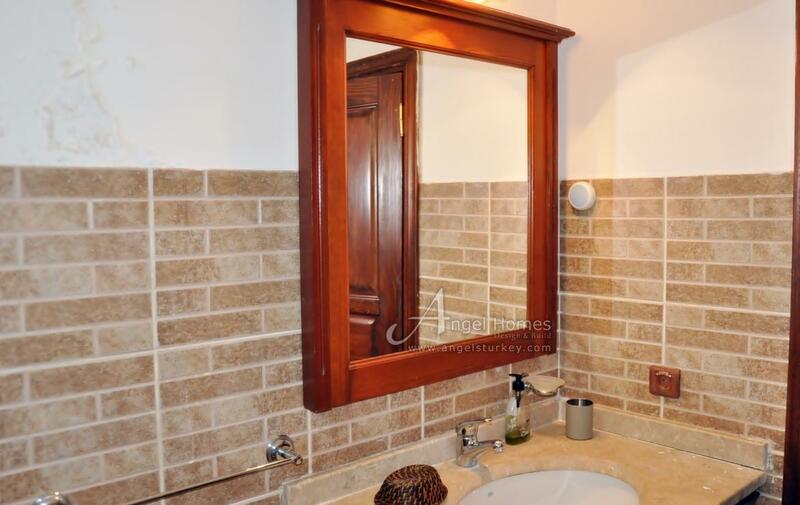 Traditionally built, this 3 bedroom villa is larger than average in size and has plenty of space (180m2.) 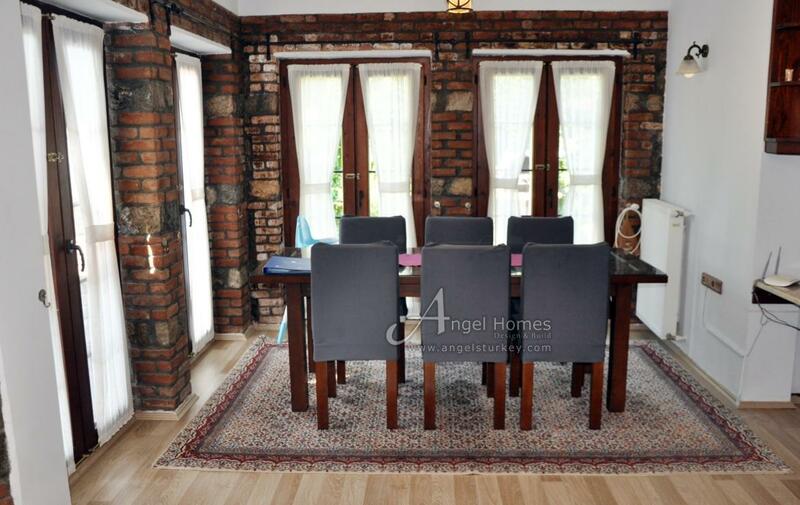 You enter the villa on the ground floor into a very spacious open plan living area. The open plan living area has laminated flooring. The living room boasts an open fire for the winter months and air-conditioning for the hot summer months. Access to a large terrace, big enough for a table chairs and sofa set is gained through large glass doors from the living area. The pool and gardens are private and extensive. The kitchen is traditional in design with dark wood floor and wall units. 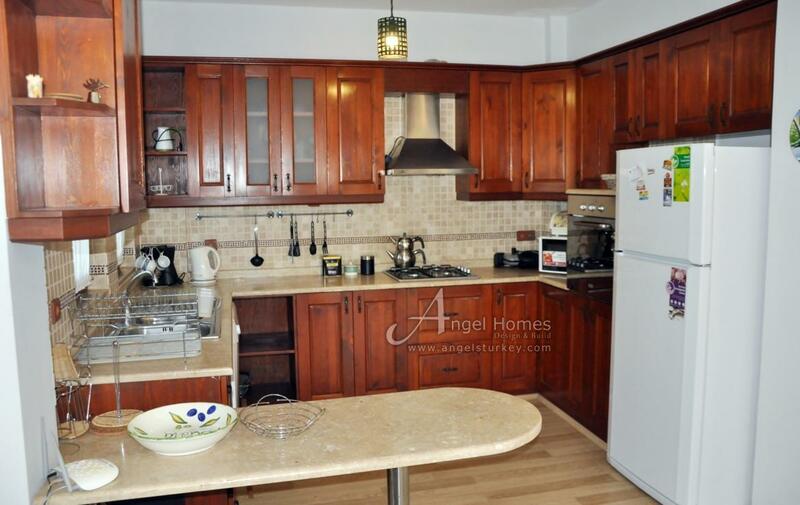 The kitchen is fully fitted and includes all white goods. Completing this level is a WC with hand wash basin and toilet with under stair storage perfect for the washing machine. 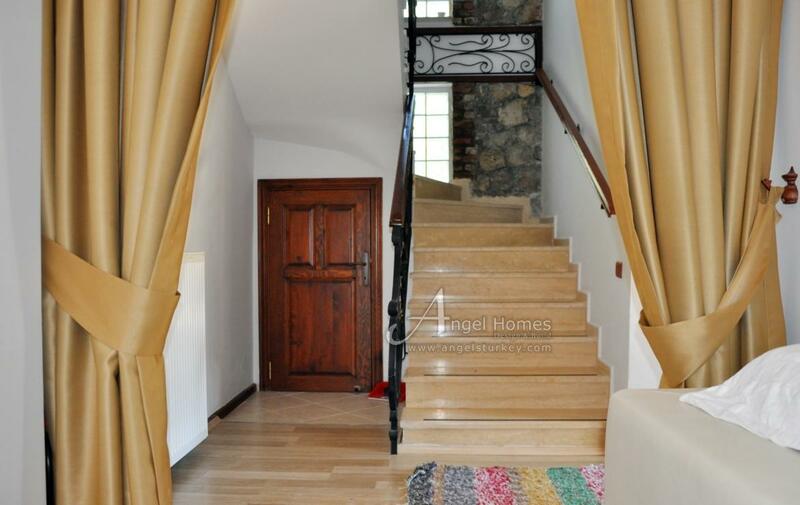 Leading you to the next level, via a wrought iron staircase, you will find 3 double bedrooms. 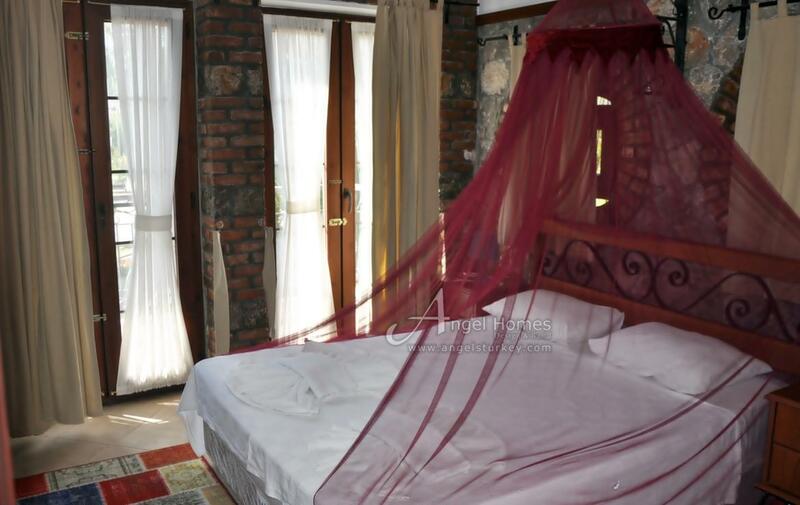 One of these bedrooms is a master suite, which includes en-suite facilities and private balcony. The next bedroom is set up as a twin room, and the final bedroom a double room. 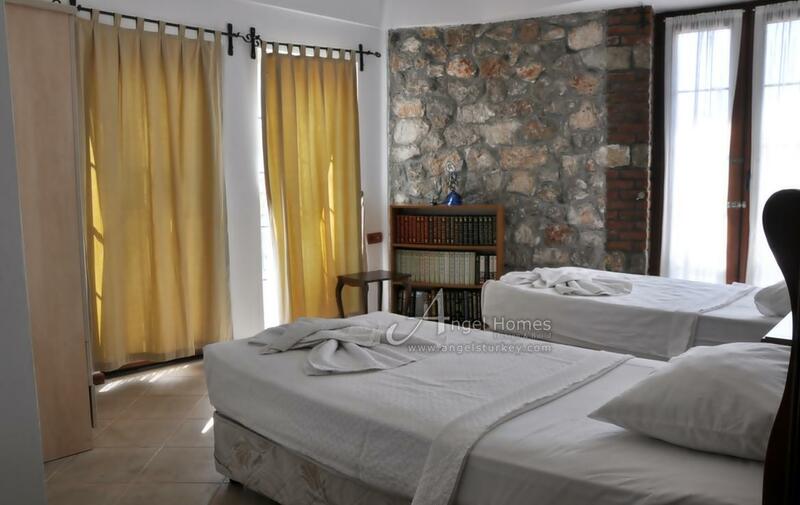 Each room has a balcony and stone tiled floors. 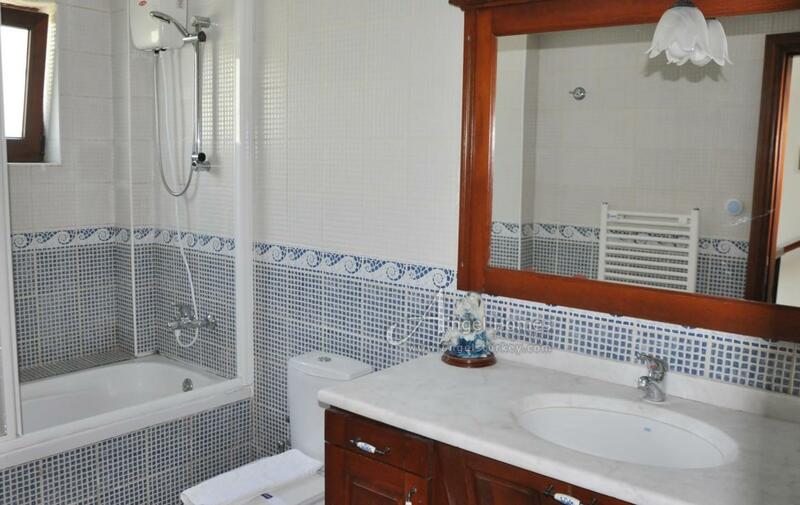 There is also a large family bathroom on this level. 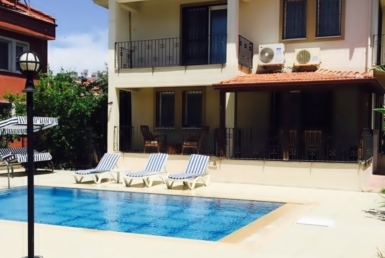 If you are looking for a property with excellent rental potential then this is the villa for you. Alternatively if you are looking for a traditional home for all the family it is perfect also. 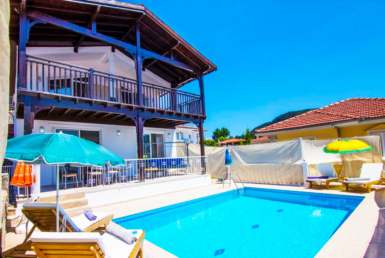 Either way as a permanent home or as an investment this villa is a bargain, especially as it has an established rental income, but more importantly it is full of character and warmth and ready for a new family.